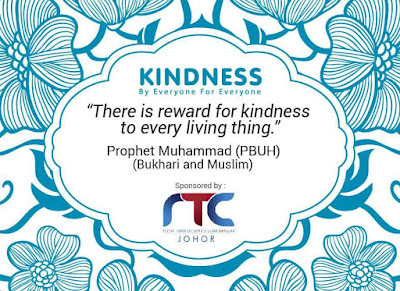 The Prophet Muhammad (SAW) asked his Ummah to treat each other with kindness and wish only peace. Any good word, deed and even a smile is a charity, and for that Allah has prepared a great reward. Every time, when a Muslim asks Allah for another man, the angels pray to Allah, that He bestowed upon the believer the same that he asks for another. Sometimes, under the influence of feelings we want to say to the person an offensive word or wish that something is not quite good. But in these moments should be thinking about: do we really want it? Anger will subside, and the word will remain. Allah hears our every prayer, and sincere conversion undoubtedly will be accepted! The only difference is that we ask for good or vice versa that can harm humans. It is important to remember that prayer is for the benefit of coming true faster. So worth asking God to correct the bad qualities of the man and his admonition to the true path and thus be rewarded for showing kindness. At the time of the Prophet Muhammad (SAW) lived a blind beggar Jew who cursed God's messenger and he said all the people that they did not listen to his exhortations, he is a liar! This old man was not familiar with the Prophet Muhammad (SAW), he does not even know him in person, but despite this did not stop swearing at him. When the news of the beggar went to the Prophet, he did not curse and swear at him, and he took the habit each day to visit the poor and feed. The Prophet Muhammad (SAW) was feeding the old man until he left this world, and the beggar even did not suspect that feeds him the man he hates. After the death of Muhammad (SAW), the poor Jew was waiting for him and wondered why he does not come and did not feed him? When Abu Bakar (RA) heard about this act of the Prophet, he went to the market and found that very poor blind man and began to feed him, as the Prophet Muhammad (SAW) did. Then suddenly the beggar got angry and said, "Who are you?" Abu Bakar replied that he was the man who fed all these years. The beggar replied, No! Do not lie to me! The man was so nice to me, and the food he gave was very easy to chew, because he softened it to me..."
Upon hearing this, Abu Bakar could not resist and started falling tears. Abu Bakar said, "The man who came to visit you all these years was the Prophet Muhammad (SAW), I'm one of his followers..."
The beggar could not recover from this and wondered how the Prophet Muhammad, whom he had so long covered the railing could be so generous to him? The Jew said through the tears that indeed there is no God but Allah, and Muhammad - his Prophet, and became a Muslim. This is just one of the hundreds of stories that happened with our honorable Prophet Muhammad (SAW). Sometimes people don't have patience and love towards others. Quarrel and burn the bridges is always easier, we should seek not easy, but the right way. Its a good attitude, a kind word and even warm glance melt the heart of the one who shot an arrow of anger in the soul. 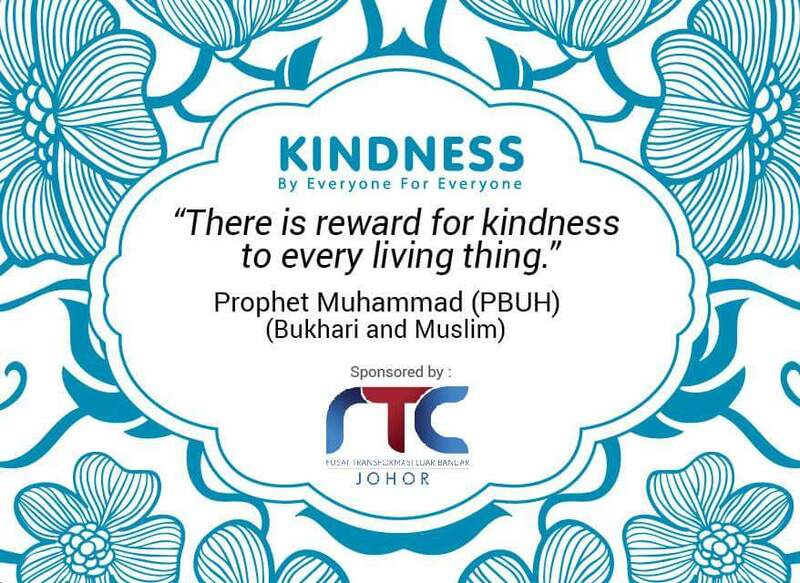 Happy Maulidur Rasul and let kindness spread and make the world a better place to live. 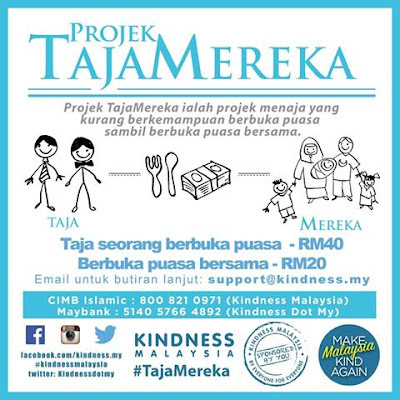 Assalamualaikum wrb dan salam sejahtera. Allahummasalli Ala Saidina Muhammad..Selawat dan Salam atas junjungan besar Nabi Muhammad S.A.W..peribadi yang cukup mulia di sisi umat Islam. Sehingga ke harini,Baginda amat dikagumi di seluruh dunia. Salah satu sifat Baginda yang amat terpuji adalah melakukan kebaikan sesama manusia tidak mengira kaum,bangsa dan warna kulit sehingga di angkat sebagai manusia yang paling agung akhlaknya. Lakukan sedikit kebaikan harini dan seterusnya tidak kira sekecil mana kebaikan yang anda lakukan sebagai tanda kasih kita kepada Baginda, moga-moga usaha yang dilakukan akan mendapat syafaat di akhirat kelak. InsyaAllah.